Kashmir provides numerous sightseeing opportunities for visiting tourists with its local handicrafts, sceneries that are unparalleled in their world for beauty, historical and religious places of interest and many other interesting things. Learn about the top 10 things you can do here to make the most of your Trip to Kashmir. Kashmir, situated in the north-western part of India, is a state that is loved and visited by tourists from all over the country and even from abroad. The place boasts of awesome scenic attractions, excellent places of interest including religious and historical spots, mouthwatering dishes, amazing handicrafts and numerous fun activities to take part in. If you are planning to visit the place anytime soon, you can check the top 10 things to do in Kashmir enumerated here. If you are a budding photographer, Kashmir will undoubtedly provide a range of opportunities to you. You can click photos of various sceneries and places of interests in Kashmir for your own personal collection. For a decent price, you may also sell some of these to the newspapers, magazines or websites back home. You may even use them to spice up a travel blog that you might have. Make sure, however, that you keep a local guide who can inform you about which places to capture in your lenses. Local people may not like some religious places to be clicked on. Offending sensibilities may land you in trouble. The wildlife of Kashmir presents a sight to behold! You can find many birds visiting the Dal and the Pari Lakes. Eastern Ladakh, Gharana and Surinsar are frequented by many birds. Apart from 500 varieties of birds, you can also find marmots, wild boars, Jackals, Sharpu, Bharal, Tahr, Serow, Nilgai Antelope, Tibetan Antelope and the Yak among many other varieties of wild animals. You can rent a bike and set off on a road trip to see these things and make a stop now and then to enjoy the beauty of nature from close quarters. A bike ride can be a great idea if you love to go off the beaten track. The local monasteries are something that you should not miss. The Alchi, Thiksey, Hemis and Cave monasteries are some of the most renowned ones in Jammu and Kashmir. While visiting them, take care to dress appropriately and take permission of the monks before clicking photos. Do not smoke, drink or talk loudly inside the monasteries. Women should take permission before entering the prayer rooms. The floating market in Dal Market presents tourists with the unique opportunity to window shop for items like handicrafts, apparels, carpets, shawls and many other things. If you are a shopaholic, you will love to buy from the floating market while taking a ride in a Shikara (boat). 06. Engage in a Snowball Fight! If you are visiting Kashmir in the winter season, you can definitely expect snow as most places in the area have sub-zero temperatures in the chilly months of December and January. You can take part in a snow fight with your loved ones and even throw snowballs to strangers who are willing. The winter season also provides you with the opportunity to climb the snow-capped peaks in the vicinity. Make sure that you take a local guide along and wear enough woolens and proper hunting boots to have a firm grip while climbing. However, try this only if you are fit and healthy enough. If you are going to the place to recover your health, it is best not to try such things. Many tourists love to rent Kashmiri attire from Sonegaon, Pahalgam and Gulmarg and get them photographed. These dresses are usually full length, traditional attires of Kashmir and you will love to be transformed into a Kashmiri local for a few minutes and treasure the photo for an entire lifetime. If you are visiting Kashmir in the summer months, you can go swimming in the Nagin Lake. 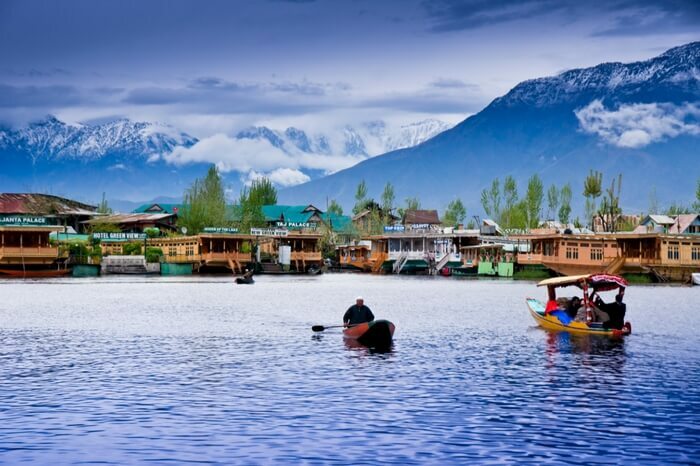 It is a part of the famous Dal Lake and is connected to it by a narrow causeway. Swimming in this lake is ideal as the water is not much deep here and the crowd is thin. It is located 2.5 kms away from the middle of the city. You can easily capture videos of yourself at various places of interest and describe their significance to make a great video blog. With some ads on the blog, you will even be able to recover the traveling expenses.